2017 VW Golf Trendline Automatic! Comes painted in the deep black pearl paint and Titan black cloth. 1.8L TSI 4-cylinder engine, and 15'' alloy wheels. 8-way adjustable front seats, auxiliary input, bluetooth phone connectivity and a 5'' touchscreen radio, cruise control and much more! Car Fax - clean, no accidents, previous daily rental. 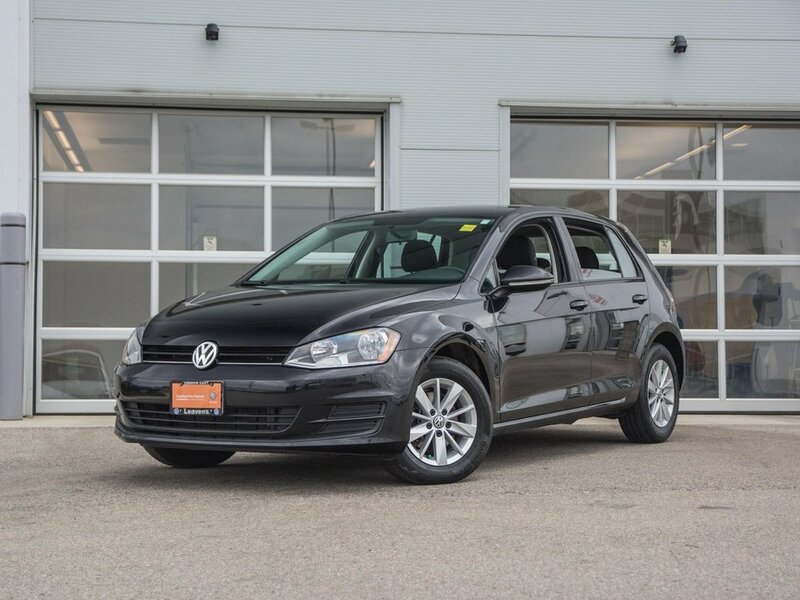 THIS IS A VOLKSWAGEN CERTIFIED PRE-OWNED (CPO) VEHICLE! * All matching tires with double the minimum provincial safety standards! * Paintless dent removal for any applicable panels and paint touchups.